Maybe its the temperature or maybe it is the feeling of gliding over ice. But whatever the reason is, ice skating is very popular to kids, teens, and adults alike. 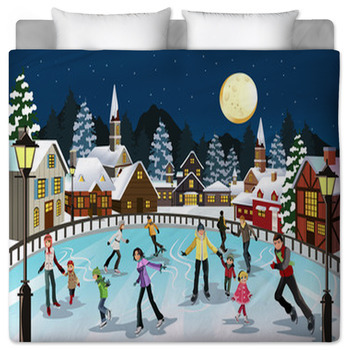 Those who love ice skating will certainly love to have ice skating designs on their beds. 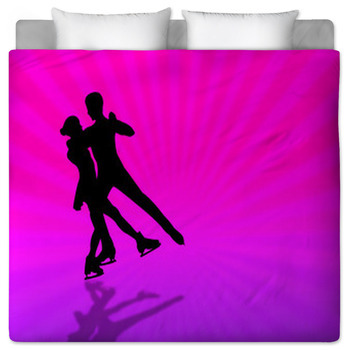 Ice skating bedding will showcase a persons enthusiasm of their hobby or their favorite sport. 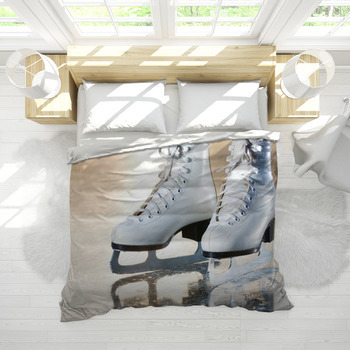 If you love ice skating and want the world to know, then getting bedding that features your favorite sport is your primary option. 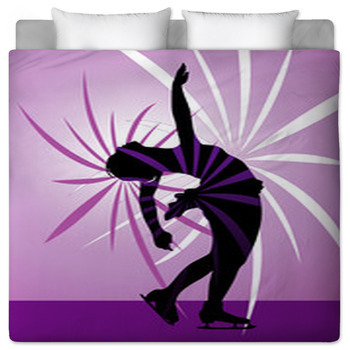 The first step is to choose ice skating image or design from our gallery. 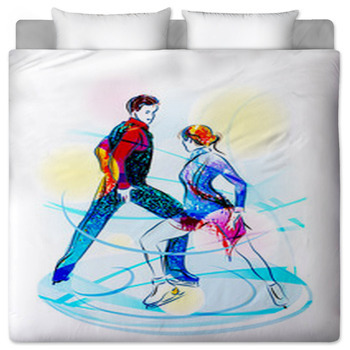 You can immediately have your chosen design dyed onto fabric for your own bedding or you can choose to add your name or a message (if you're giving it as a gift) to the design for more personalized bedding. From these options alone, you can see that there are a lot of ways for you make your bedding extra special. But this is not all. 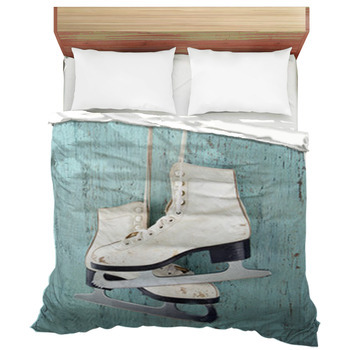 You can even have your own photo performing a perfect figure on ice dyed on to your custom bedding. Now, isn't this a good way to show the world how great you are at ice skating? 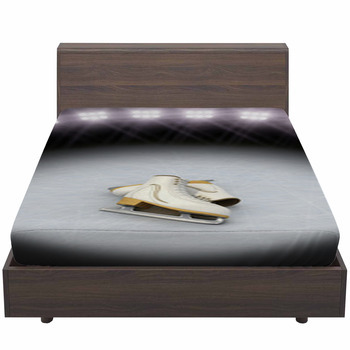 Don't worry our ice skating bedding wont melt like ice. 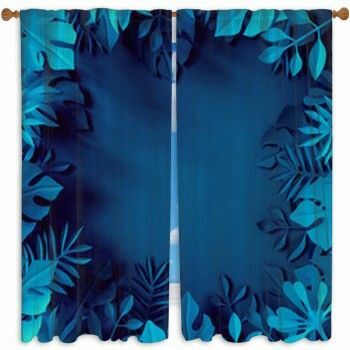 In fact, you can expect it to last for a long time since we ensure that we only make use of quality materials when we dye your design to the fabric used for your bedding. 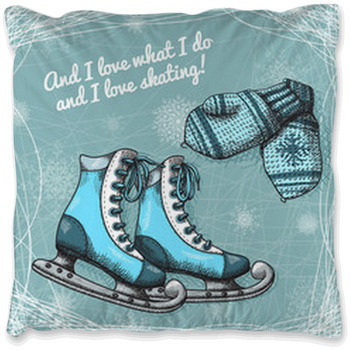 Don't wait a minute more to place your order get your own ice skating themed comforter or pillow cases now and see how it can easily be the focal point of your bedroom.